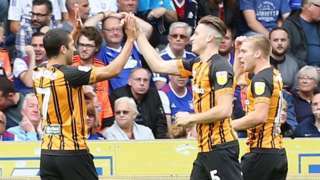 Hull City avoid a club record seventh successive home defeat with victory over Ipswich, who remain without a win this season. Scunthorpe winger Josh Morris scores a brace to guide his side to victory at AFC Wimbledon. Sam Surridge nets twice in two minutes as Oldham Athletic inflict a fourth-straight defeat on Grimsby Town. A "survival guide" to help university students stay safe during freshers' week has been issued by Humberside Police. Officers will be at the University of Hull's freshers' fair where they will give advice on preventing burglaries and keeping valuable items from being stolen. Swimmers are expected to crossing the Humber Estuary this weekend to help raise money for a rescue service. They're due to swim between Barton, in North Lincolnshire, and Hessle, in East Yorkshire, on Sunday to raise funds for the Humber Rescue Service. Dave Roberts, a coxswain with the charity, said: "It doesn't look too far when you look across the river, but they're swimming perhaps one and a half or two times the width of the river because of the tides." The challenge of plastic pollution is one of the dominant themes at the British Science Festival in Hull at the moment - and its plastic bottle turtle is a symbol of our dependency on the material. Plastic is contained in 40% of all grocery packaging, but wooden cutlery in the University of Hull canteen is just one sign of how public attitudes towards this material are changing. Research commissioned for the festival reveals a growing concern, with 92% of the public believing plastic pollution is spoiling the world's beaches, while 71% want a wider choice of plastic-free products in the shops. But there's also confusion: 65% of those surveyed didn't know what they could or could not put in recycling bins. A debate yesterday focused on how we change our behaviour towards a material we all rely on. The festival organisers' key message is that small changes to how we each behave can make a big difference. Video caption: Work on flood defences in Pocklington will make a "significant difference" to the town.Work on flood defences in Pocklington will make a "significant difference" to the town. The 600m-long dam structure to the north east of the town will create a water storage reservoir to stop the beck overflowing. When it's finished next year, it will hold back enough water to fill 36 Olympic-sized swimming pools - that's about 90,000 cu m of water. Symon Fraser, at East Riding of Yorkshire Council, said: "Pocklington has frequently flooded and this will make a significant difference." A1079 East Yorkshire both ways severe accident, at Inglemire Lane. A1079 East Yorkshire - A1079 Beverley Road in Newland partially blocked and heavy traffic in both directions at the Inglemire Lane junction, because of an accident. A University of Hull student is raising awareness of cervical cancer after she and her mother were saved by being tested for the disease. Rachael Haukvik, 32, says she wants to "break through the stigma" around the disease with an increasing number of women missing tests. Ms Haukvik, whose mother had cervical cancer at 23, said: "This is a really important test, it can save your life. It saved my life, and it saved my mother's." Video caption: What happens during a smear test?What happens during a smear test? Tim Sheens: "We may have to re-invent ourselves"
Workers at British Steel in Scunthorpe say the company's decision to cut 400 jobs worldwide has come as a "massive shock". Steelworkers say they had felt "quite optimistic", but now managerial and administrative roles in the town could be lost as part of the planned restructuring. Steelworker Alan Kirkpatrick said: "It's come as a massive shock for us. We've had two really good years making money then all of a sudden they tell us they're losing 400 jobs." His colleague Ian Linklater said: "Today's just been a shock to most people.Things were going well for us, everybody was looking up." 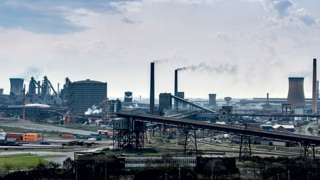 British Steel employs 5,000 people and plans to reduce roles at its operations in the UK, Ireland, France and the Netherlands, although it's not known how many jobs will go in North Lincolnshire. Chief financial officer Gerald Reichmann said there would be a "significant impact" on the Scunthorpe site. Hull's rugby league clubs have welcomed the result of a vote to scrap Super 8s in favour of "one up, one down" promotion and relegation. Hull FC and Hull KR were both in favour of the decision which was reached at a Rugby Football League (RFL) extraordinary general meeting in Manchester. 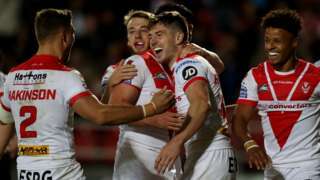 In a statement, Hull FC said it was a "positive day for rugby league", while Hull KR tweeted to say it was "great news". Hull FC’s chief executive James Clark (pictured) said: “This is a significant and very positive day for rugby league which will reinvigorate our ambition for the sport and provides much required stability, unity and vision." A man and a woman in their 20s have been arrested on suspicion of arson in Grimsby. The two people were arrested following "an incident" at a property on Weelsby Street (pictured), on Monday. They have both been released pending further enquiries. Adam Pearson: "It's a good deal for rugby league and an excellent deal for Super League". Plastic waste is becoming so widespread that a new layer will appear in the Earth's crust, according to a Hull academic. Professor Dan Parsons says plastic is being "locked away in sedimentary deposits across the bottom of our oceans". The sedimentologist, from the University of Hull, predicts plastic will be found in rocks "10 million years from now". "The geologists of the future will be scratching their heads and trying to understand what it was we were actually doing," he adds. British Steel say 400 jobs will go worldwide and that it is currently "evaluating where this streamlining will take place" but that it will impact on Scunthorpe. Chief financial officer, Gerald Reichmann says they don't know yet how many jobs will go in North Lincolnshire. He said: "We are looking at the whole business of British Steel which includes a site in Scunthorpe but also in Skinningrove, Teeside and in the Netherlands. "We are still in the process of evaluating where this streamlining will take place but there will clearly be impact for Scunthorpe." Managerial, professional and administrative roles will be affected by the cuts which the company says are necessary to ensure its long term future. The location of knife amnesty bins in East Yorkshire and North Lincolnshire have been revealed by Humberside Police. Members of the public will be able to drop off knives in Hull, Beverley, Bridlington, Goole, Grimsby, and Scunthorpe as part of a national amnesty. They will not be required to fill in any forms or speak to a police officer if they drop off a knife as part of Operation Sceptre", which begins on Tuesday. Det Supt Jo Roe, overseeing the knife amnesty for Humberside Police, said: “No questions will be asked, even if the knife is banned." A trade union has described the redundancies as "a body-blow to the workforce".